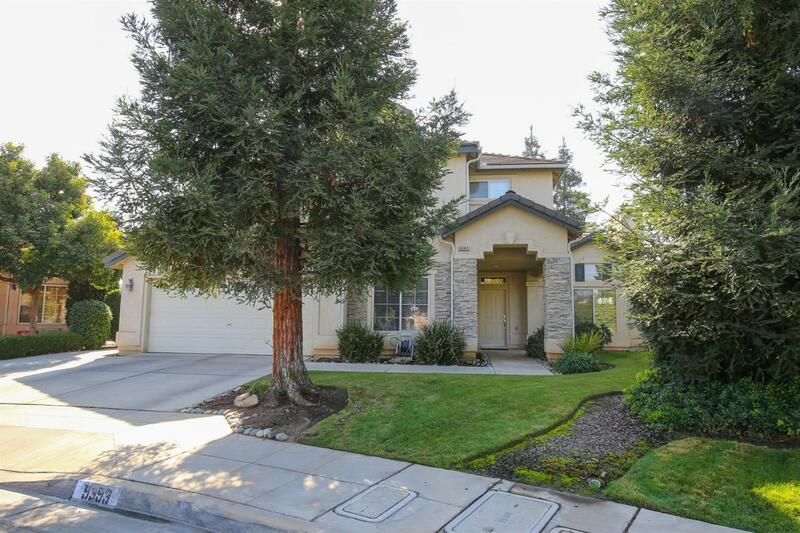 Located within the award-winning Clovis Unified School District, this very clean, well-kept home is minutes to shopping, the Clovis/Fresno walking trail and the expanding Clovis Community College. A downstairs room offers you the choice of an office space, living room or easily converted 5th bedroom. Upgraded lighting fixtures and surround-sound/HDMI set-up installed. Summer entertaining will be a breeze with the pebble-tech pool featuring a newly installed energy efficient pump and leased solar system. The backyard features upgraded concrete and the seclusion of a cul-de-sac lot that backs to acreage. Warm up inside during the winters with updated paint, freshly cleaned carpet and the master suite fireplace. Schedule an appointment today to see what this home offers!